This post was written by Dan Fernandez, Senior Director in the Cloud + Enterprise Division. February is over and it's time for another installment of docs.microsoft.com release notes. We've just released more content that will help you learn and get to know more of our products! We continue working on migrating content from MSDN to docs.microsoft.com - not only will we ensure that the content is properly relocated, but also that links point to the new content on docs.microsoft.com automatically - if you catch any broken links, report them. Many of the features that we have built in this past month were behind the scenes - we are improving the stability and resilience of our services, while also building new publishing pipelines for different pieces of content. That said, two major additions did happen, shown below. One of the key points of API documentation is to make it comprehensive and easily discoverable. We've seen that the the .NET API Browser and the PowerShell Module Browser were a success with the community, therefore we wanted to make it easy for both new and seasoned developers to find Python APIs shipped by Microsoft. Recently, we announced the release of the Python API Browser - the better way to find Microsoft-shipped Python APIs. Whether you are working with Azure Python SDK or Cognitive Toolkit, you can find the relevant APIs quickly by going to docs.microsoft.com/python/api. As the number of Python APIs that we ship grows, we will continue updating the Python API Browser with new releases. We continue to drive the openness and transparency efforts in our documentation - we love when our community is empowered to deliver detailed feedback on how documentation experiences can be made better. As part of that effort, we transitioned our comment system to rely entirely on GitHub issues. The only piece that was outside GitHub was site feedback. Previously, we hosted all of our docs.microsoft.com site feedback on UserVoice, and while it was a good solution at the time, with our deeper committment to GitHub-hosted docs, we wanted to reduce the friction for users when it comes to providing feedback in the same place where the conversation is already happening around our content, so the next decision was simple - move all our site feedback to GitHub. 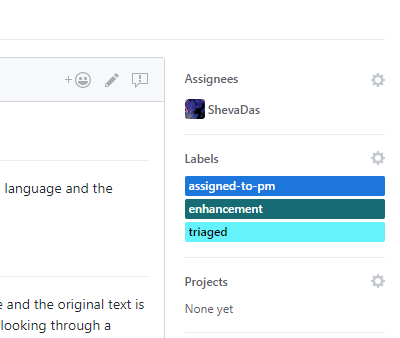 As we performed the transition, we made sure to take all open issues from UserVoice and migrate them to GitHub, so if you submitted ideas before, those are not lost! There are more things planned for this year, and we are excited for you to see them! In the meantime, make sure to follow our blog and Twitter account for the latest updates. If you have any feature suggestions or ideas, don't forget to open a new issue on GitHub. Dreaming of making the world better for developers? Join our team!